The comics industry is booming, and not just with stories on the same familiar characters you see in the movies. New characters and storylines are emerging every day and the barriers to entry for artists and creators are lowered. 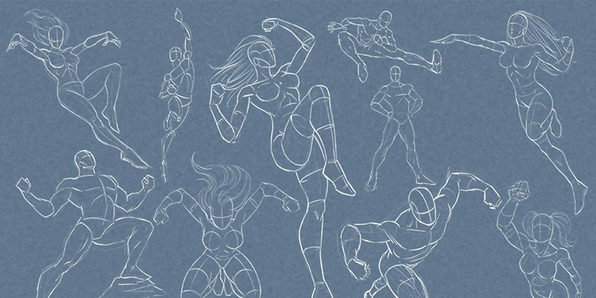 In this course, you'll learn how to draw dynamic comic book superheroes step-by-step so you can invent your own characters and begin creating their stories. Robert Marzullo has been a working professional artist for most of his life. He has been published in comics, created 3D animation and characters for television, illustrated storyboards for commercials, and owned and operated his own design firm successfully for over 15 years. 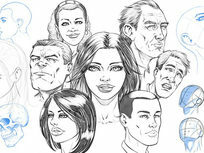 He is also the author of the book Learn to Draw Action Heroes by Impact Publishing. He's currently a professional freelance illustrator and comic artist where he creates digital art for his clients and shares his knowledge in digital art and computer software through online teaching. With over 75,000 Youtube subscribers, he felt he should create some more in-depth content for students wanting to take their skills to the next level. Robert's goal is to help aspiring artists realize their potential and break the mental barriers that hold them back from creating the artwork of their dreams. In this basic approach to figure drawing, you'll learn techniques to systematically break down the various parts of the body into simpler shapes and understand how to work them into one figure. Following along with a professional artist, you'll gain insight into how the artwork and poses are created and understand how to create them yourself. Being able to draw heads confidently is an essential skill for any artist. 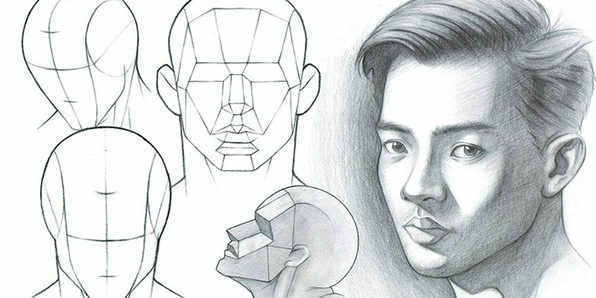 In this course, you'll learn how to draw a variety of heads and faces from any angle by exploring popular techniques like the Andrew Loomis method. By discussing how to draw individual areas of the face, you'll gain confidence in constructing the entire head of your character. 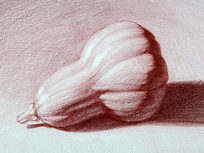 If you can shade a sphere, a cube, and a cylinder, you can learn to shade any subject, no matter how complex. This course will show you how. 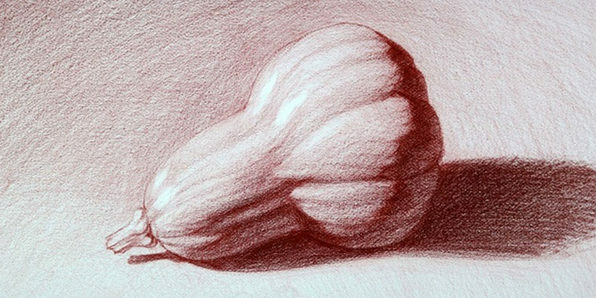 In these five in-depth lessons, you’ll learn how light operates on complex objects including concave forms like cups and bowls as well as organic subjects like fruit and vegetables. 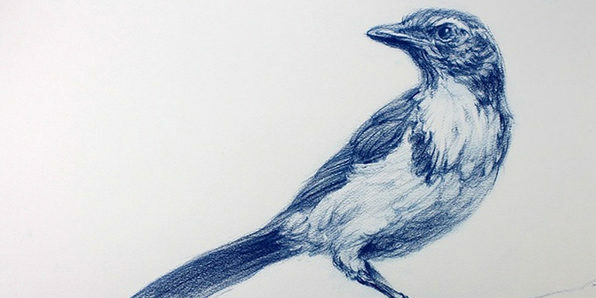 This course even includes an introduction to cross-hatching, one of the most sought-after drawing skills The skills taught in this course are essential for anyone interested in continuing on to figure drawing. Brent Eviston studied at Otis College of Art & Design in Los Angeles, and has worked with and learned from numerous master artists. In addition to studying drawing his entire life, he has taught drawing for more than 20 years at art schools, museums, galleries, and studios. 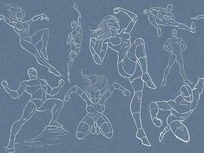 Brent specializes in teaching traditional drawing, figure drawing, and anatomical drawing. 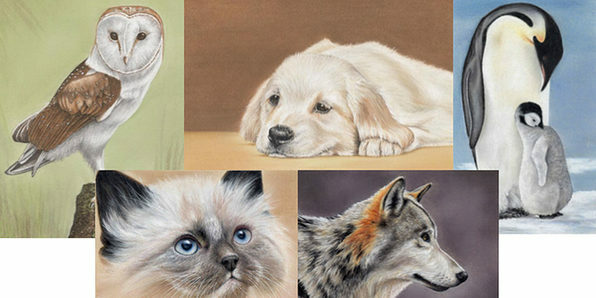 His online courses are the culmination of decades of drawing and teaching experience. 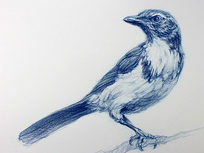 Once enrolled, you will learn the most powerful drawing tools and techniques available — many of which are rarely taught outside of private art academies. This course is designed for the absolute beginner artist but recommended for anyone who would like to improve their drawing skills. Using hands-on demos, you'll get a feel for basic techniques and understand concepts essential to drawing. 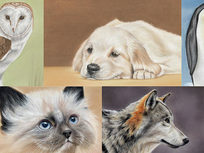 Pastel pencils are one of the easiest mediums for beginners to pick up and learn and in this course, you'll learn how to draw animal subjects from scratching using pastel pencil techniques. You'll get an outline for each drawing so you can begin by tracing before elevating towards the more complicated drawing. Colin Bradley became a professional artist in 1982 and opened his gallery in Broadstairs the same year. With 35+ years experience, 20,000 subscribers on YouTube and over 3 million views, his teaching has inspired people all around the world. Over the years, Colin has developed a range of unique techniques which you won’t find anywhere else. Portrait drawing can be extremely rewarding, but also incredibly difficult for beginners. This course, however, breaks down the complex topic of portrait drawing into manageable concepts and step-by-step exercises to help you start creating beautiful portraits fast. 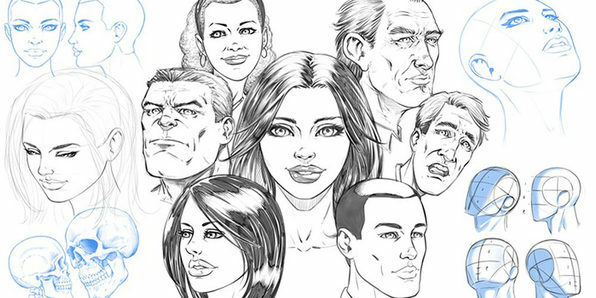 You'll begin by learning simple concepts and practicing basic drawing exercises and, as you improve, the lessons will gradually increase in difficulty until you've drawn your own realistic portrait. 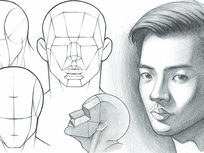 Ethan Nguyen is a professional artist and teacher who has taught thousands of students how to draw the head and figure through his courses and online videos. His strength as a teacher comes from his ability to deconstruct complex subjects into manageable concepts.